The St. Paul, Minnesota city Planning Commission has approved conditional plans by the Ford Motor Company to demolish its historic assembly plant in Highland Park, which will begin this spring. Not to be confused with the Highland Park, Michigan plant, which was the first automotive manufacturing facility to use an assembly line, the Minnesota plant is often referred to as the Twin Cities plant. Opening in 1925, the plant was built to take advantage of the cheap hydroelectric power that a new dam built in 1917 promised. When the original dam was found to be inadequate, a new one was built in 1929 and then upgraded in 1932, being renamed the Ford Dam. The plant itself was the oldest active Ford manufacturing facility until its closure in 2011. It built such iconic Ford vehicles as the Model T, TT truck, Galaxie and the Ranger pickup. The plant also produced window glass from sandstone mined on-site until 1959. 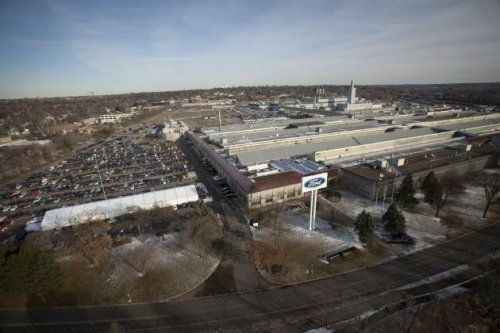 Although Ford recently announced nearly a billion dollars in Michigan-area upgrades, the Twin Cities plant was not among them. The plant was originally slated for closure in 2008 as part of Ford's The Way Forward plans of two years previous. New plans to keep the Ford Ranger in North American production, however, delayed that closure until 2011, when the last model year Ranger was built there. Ford does not plan to keep the site and will raze the buildings there beginning in May. The project will take at least three years, but will likely take until 2019 when parking lots will likely be removed. The site will be brought back to industrial cleanup standards as a "clean lot" and then sold to developers. The city hopes to see a mixed-use development plan for the 122-acre site. The closure and tear down of the site is another mark in Ford's history. Despite high productivity at the plant, Ford cited poor economics and an aging facility as reasons for the plant's demise.